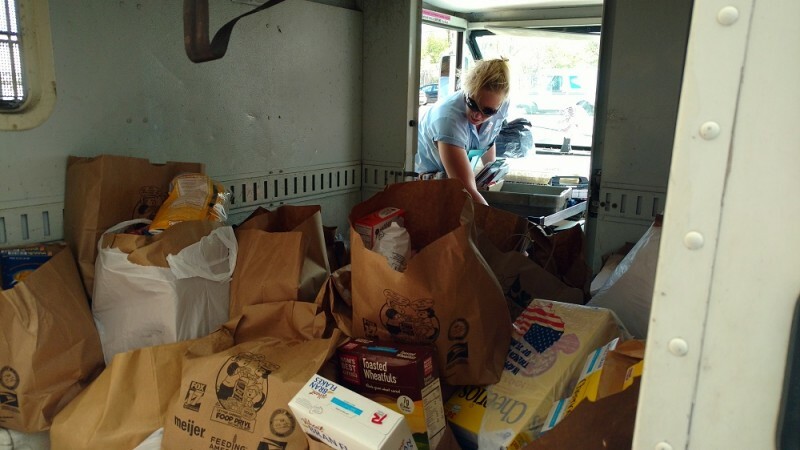 Grand Rapids residents donated 200,000 pounds of food during Saturday's Stamp Out Hunger Food Drive. 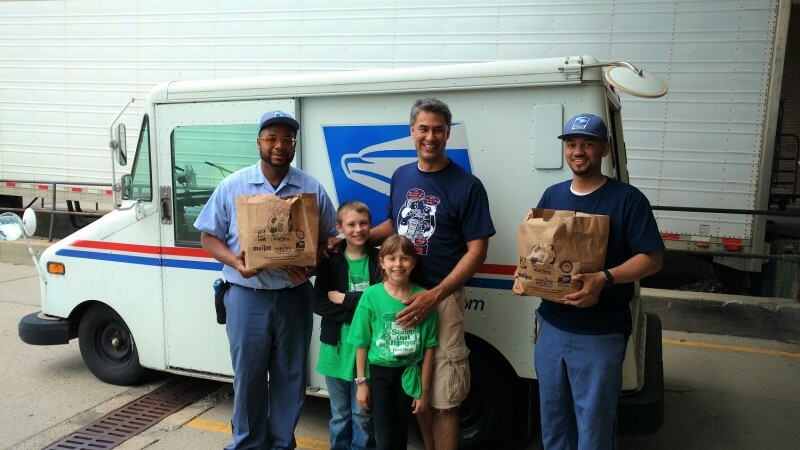 On Saturday, May 13, Grand Rapids letter carriers set a new record for the amount of food collected during the Stamp Out Hunger Food Drive. The 25th annual food drive brought in close to 200,000 pounds of food, donated by Grand Rapids residents. Donors placed bags of food by their mailboxes, which letter carriers collected as they delivered their routes throughout the day. Feeding America West Michigan will distribute the food to its network of local food pantries, soup kitchens and other hunger-relief agencies. “The response this year was truly incredible,” said Ken Estelle, president and CEO of Feeding America West Michigan. Estelle worked alongside letter carriers and food bank staff on Saturday, unloading postal vehicles at the city’s seven Post Office branches and shipping the food to the organization’s warehouse in Comstock Park. “Toward the end of the day, we were actually starting to worry we’d run out of totes to store the food in. In all the years we’ve partnered with the letter carriers, we’ve never seen this much food,” Estelle said. 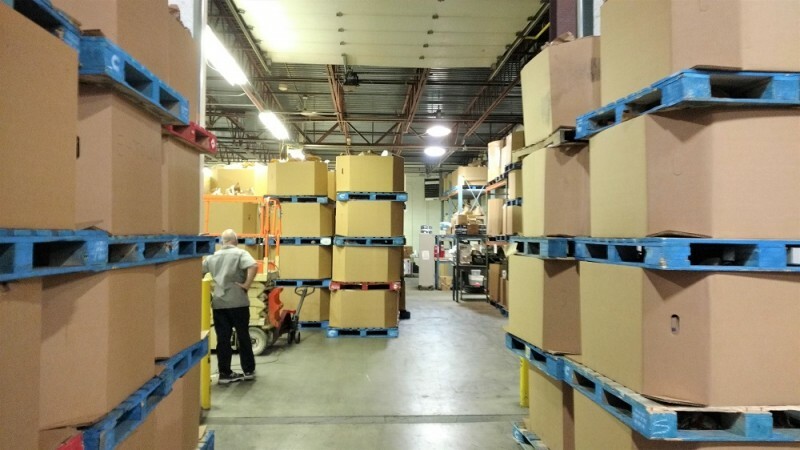 As of Monday afternoon, Feeding America West Michigan had received 196,760 pounds of food, along with $1,690 in donations through their website. Because each dollar enables the organization to distribute an average of 4.8 pounds of food, the current adjusted total is 204,872 pounds. More donations are expected to trickle in this week. Regardless, Stamp Out Hunger 2017 has already surpassed the previous record of 193,868 pounds, set in 2011. “The fact that we had strong media coverage this year, along with the postcards and collection bags the carriers distributed for us really made the difference,” Estelle said. Those who missed the opportunity to give on Saturday can give a meal online at FeedWM.org/StampOutHunger.